Image | Formats | Linden Optometry A P.C. World Sight Day Challenge 2015. Will You Help? 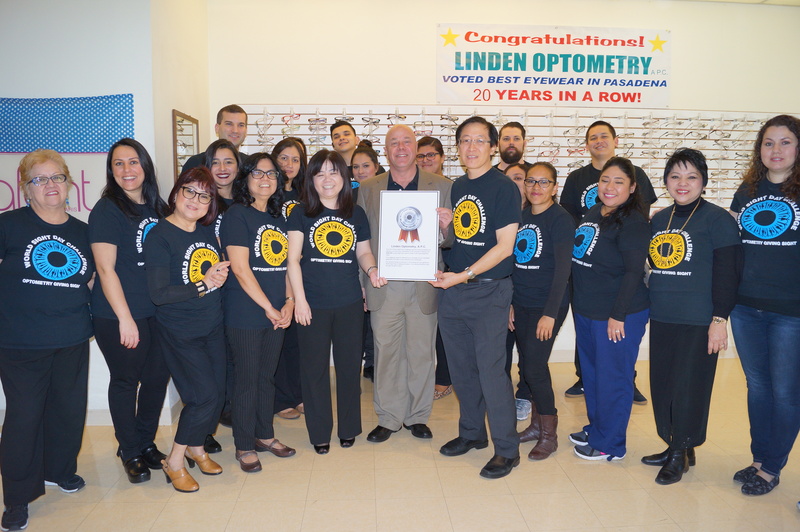 As a member of the vision care community, Linden Optometry is concerned about people around the world who lack access to the quality eye care we can often take for granted. Because of this, we are participating in the World Sight Day Challenge during September and October. Now in its 9th year, the World Sight Day Challenge is the largest annual global fundraising campaign to address avoidable blindness caused by uncorrected refractive error – simply the need for an eye exam and glasses. The campaign is run by global charity, Optometry Giving Sight. 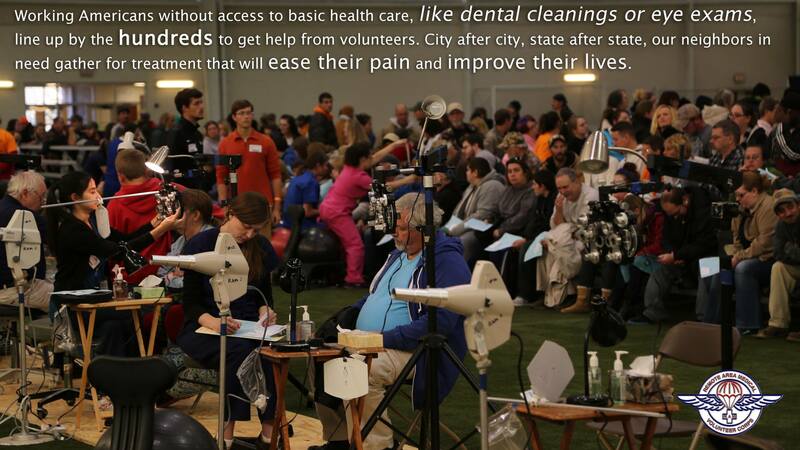 Preventable blindness is a solvable problem and we are proud to help give better vision to those in need. Most people are surprised to learn that for as little as $5 someone living in an underserved community can be provided with an eye exam and a pair of glasses to transform their lives. Everyone can make a huge difference and we are thrilled to be contributing to Optometry Giving Sight. 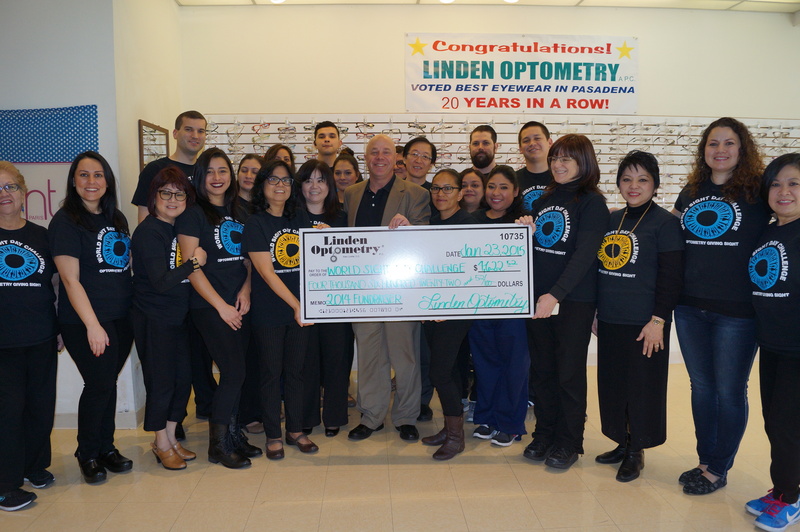 During September and October, Linden Optometry will match your donation (up to $500) to help the more than 600 million people in the world who are blind or vision impaired because they do not have access to an eye exam or glasses. The campaign goal is to raise $1 million globally in 2015. We are thrilled to be contributing towards this goal and hope you will join us in doing so! 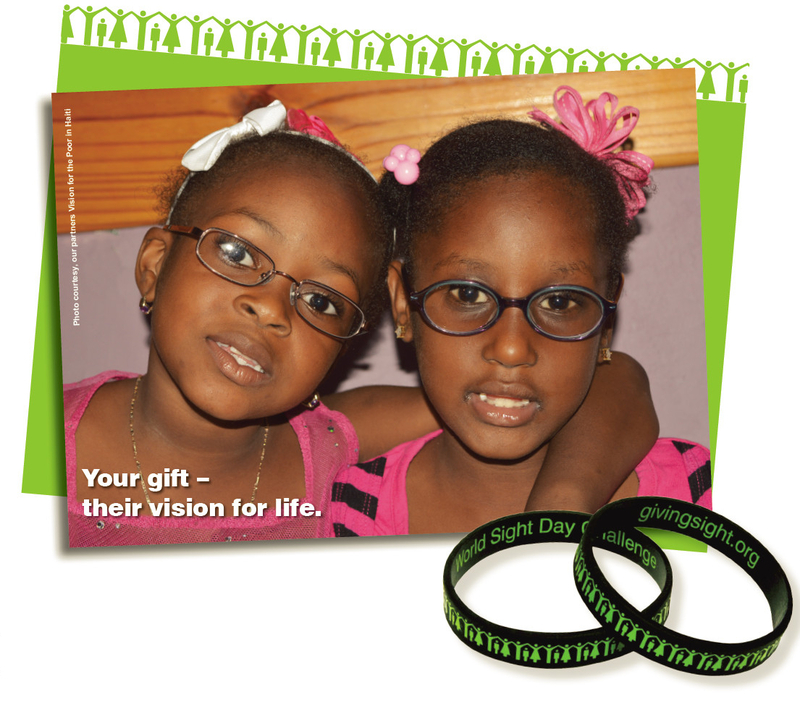 Annie and Sonia are two of 1500 children who benefitted from a recent screening program in Cap Haitian, Haiti. Poor vision made it very difficult for them to see the teachers’ writing on the blackboard. They were identified as having astigmatism and were referred to the Vision Plus Clinic, part funded by Optometry Giving Sight, for a full examination and to obtain glasses. “Thank you for helping my daughters see the world,” a grateful Mrs. Charles said after her 6-year-old daughter, Sonia, put on her first pair of glasses! To date, Optometry Giving Sight has disbursed more than US$11 million in funding from donors and sponsors to 72 projects in 42 countries. Doctors and Staff Win Award for Best Fundraising Results in U.S.A.
A fund-raising ceremony was held in our offices in Pasadena last Friday to celebrate 3 months of successful fundraising for World Sight Day 2014. Over 100 doctors and staff members of donned “World Sight Day 2014” t-shirts and worked as a team to raise the funds. The funds collected will be used to build vision clinics and train new eye doctors in under-served communities around the world, in order to help people who are in urgent need of eye care. Eric Anderson, Chief Development Officer of non-profit “Optometry Giving Sight” visited our office and accepted the funds in the form of a giant check. He then congratulated our doctors and staff for being the #1 fund-raising optometry office in the USA, presenting them with a Platinum Fundraising Award, the highest level possible. The Award was accepted by Drs. Alan Limfat OD and M. Emily Linden, O.D. 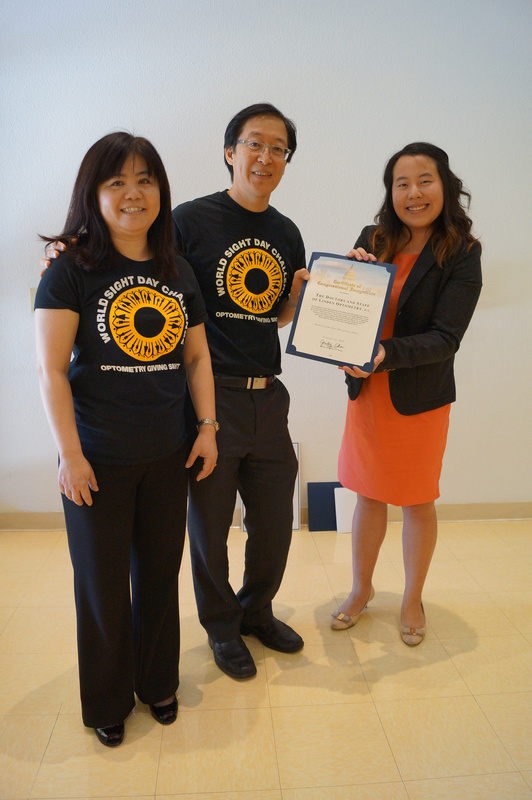 Doctors Linden and Limfat accept Congressional Certificate of Achievement from Viola Van of Congresswoman Judy Chu’s office. Crystal accepts her Congressional Certificate. 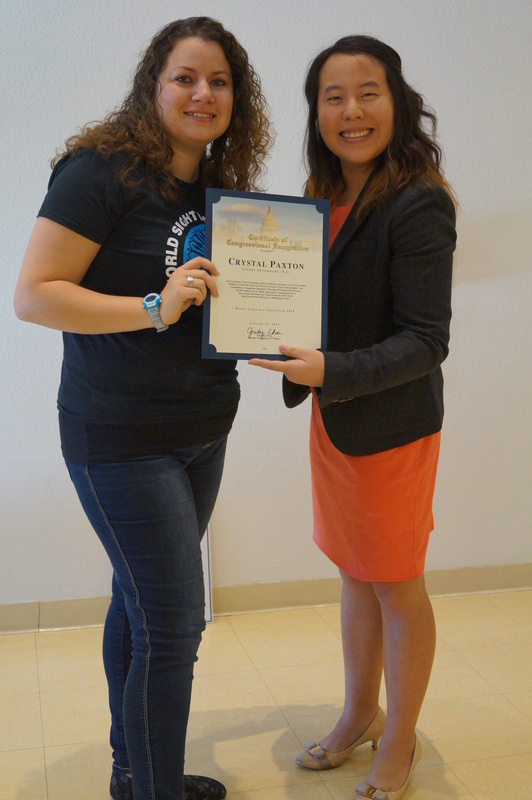 Viola Van, representing the office of Congresswoman Judy Chu, presented a Certificate of Congressional Achievement to the doctors and staff of Linden Optometry for outstanding fund-raising efforts, and presented a separate certificate to Crystal Paxton, the number one fund-raiser in our office!